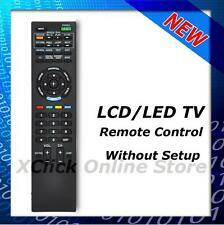 Original Touchpad Remote RMF-TX100C For Sony RMF-TX100U RMF-TX100T RMF-TX100E. (1 m) Main Specifications. 80 (width) x 62 (height) x 105 (depth) mm (including fixed thread part) Cable length. 1 m. ● Weight: Approx 100 g.
Sony 5 disc cd changer Cdp C401. Condition is Used. Shipped with USPS Priority Mail. Sony 300 Disc CD Changer Player Jukebox CDP-CX355 Mega Storage. Scratches on the knob please see pictures for physical condition. Will come with original remote, Audio cable, and new batteries. 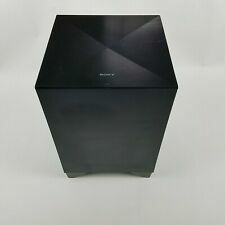 Sony SS-MSP2 Subwoofer Active Powered -Works. Very small hole in screen (front right). Subwoofer Only. No other parts, cables, or accessories included. See photos. SONY CMT HP7 micro Hi-Fi component system. Cassette only!! Sony SLV-D271P DVD Player VCR Combo with Remote. Tested. Sony SLV-D271P DVD Player VCR Combo with Remote. Tested.. Condition is Used. All functions work properly. Remote has a small scratch above the volume button but does not effect the remotes performance. Shipped with USPS Priority Mail. All functions working well and thoroughly tested. No remote. These are great if you use CDs because multiple playlists can be programmed from a collection. CDs definitely sound a lot better than streaming! This will be extra well packed with padding and double boxing and sent USPS Priority. 100% positive feedback. Sony TA-AX285 receiver. ITEM DETAILS. Sony 2m 1.4 Ver. 1 pcs HDMI Cable 2m. Flat - High speed HDMI™ cable. ￭Connector Type:HDMI™. ￭High resolution 4KX2K. ￭Color:Black/ White. ￭Length:6 feet. DVD and Blu-ray™ disc players. We are based in USA, California. We have multiple warehouses here in the USA and Taiwan. For the Following Projector SONY VPL-FH300. SONY VPL-FH300L. SONY VPL-FW300. SONY VPL-FW300L. SONY LMP-F271. Sony Cdp-c245 CD Player. Condition is Used. Shipped with USPS Priority Mail. 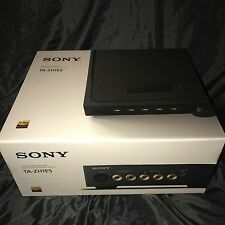 SONY MDS-B5 PROFESSIONAL MINI DISC PLAYER RECORDER. Condition is Used. Shipped with USPS Priority Mail. SONY GlassSund Speaker LSPX-S2 /Bluetooth/Wi-Fi. While the design blends in with the space, both high sound quality is compatible. The transparent organic glass tube is a tweeter that reproduces the high region, and the middle region is reproduced from the woofer placed in the middle. There is a small nick on the upper right corner. It looks really good otherwise. I tested all of the functions and it works and sounds great. We don't try to complicate things, the easier the better. (VPL-HW55ES). Spare part:A-1834-101-A. Verwenden Sie ggf. Compatible Models. No Waranty. Sony CDP-CD375 5 disc CD changer. Condition: Refurbished. 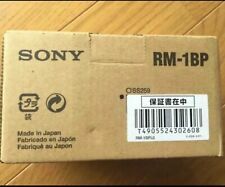 Sony Blu-ray Disc BDP-S185/BX18. With Original Box. Condition is Used. Shipped with Flat Rate Freight. Lampadina originale Ushio NSH fabbrica dentro. Siamo basati negli Stati Uniti, California. Abbiamo più magazzini qui negli Stati Uniti e Taiwan. Nuovo marchio di alta qualità lampada proiettore OEM. CDP - 337ESD CD Player. High End and high quality product. Excellent working condition. Do not attempt to modify the boards in any ways, try to pull parts off of it and swap to fix your board or use our part to diagnose your projector. Sony 4K Projector VPL-VW600ES. Let’s put this dating funk behind you. The wine’s chilled. The popcorn’s done. You’re rocking your favourite shirt. You both get comfortable on the sofa. The opening credits roll. So wisecracking John McClane isn’t her cup of tea?. Factory Sealed Box Lowest Ebay Price! Sony VPL-CH373. 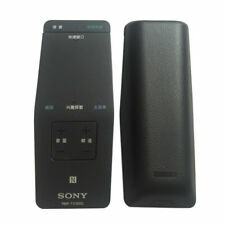 Sony VPL-CH370. Neue hochwertige OEM-Projektorlampe. Für die folgenden Projektor Wir sind in USA, Kalifornien ansässig. Unten finden Sie eine automatische Übersetzung ins Deutsche. With Digital Music Arena mode, you can simulate the sound of a live music venue - all at the touch of a button. Or experience the atmosphere of an all-seater stadium with Football Mode. Stream on‐demand movies, catch‐up TV and the best of online sites like YouTube, Netflix, Lovefilm, BBC iPlayer and many more. The UBP-X800's playing power goes far beyond the 4K UHD Blu-ray Discs™. You can watch, listen to, and stream almost anything you like—including most high-definition video and High-Resolution Audio formats, and a host of popular streaming services.